I try to cook almost everything from scratch, but there are some foods that never even cross my mind to try making. 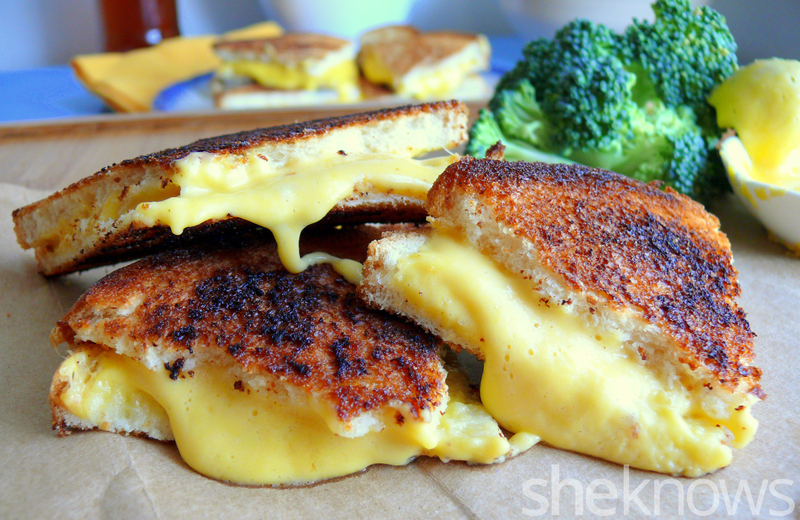 American cheese — that beloved processed cheese food product of my youth — is one. Whether you ate it as individually wrapped slices or got it fresh from the deli (white, not yellow, sliced extra thin, please! 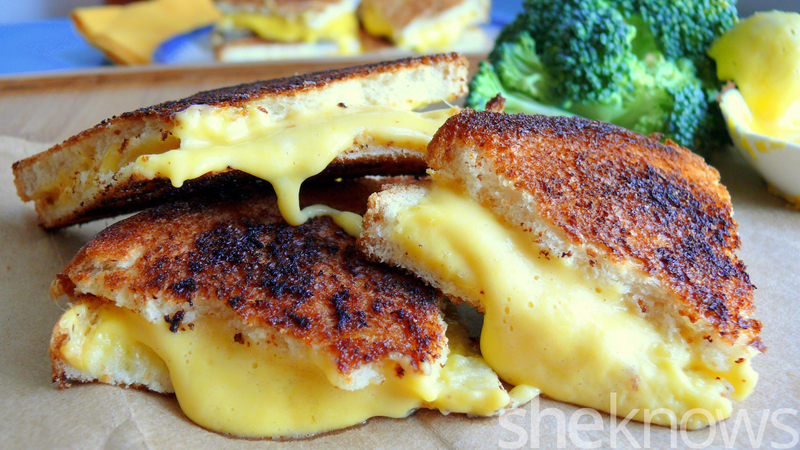 ), American cheese is pretty much a staple of every kid’s diet in the U.S. But if you stop to think about what it’s made out of, you’ll probably draw a blank. Luckily there is a way to make it at home so you know exactly what you’re eating. I was skeptical at first, but I set out to make homemade American cheese thanks to this recipe from One Good Thing by Jillee. The ingredients aren’t too suspect. 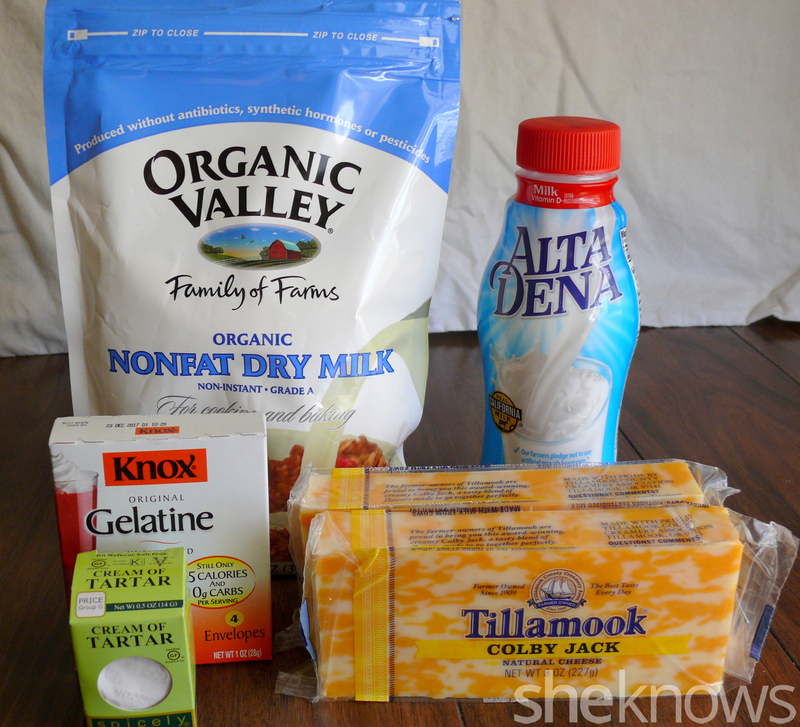 Colby cheese, powdered milk, gelatin, cream of tartar, water, milk and salt are all you need. 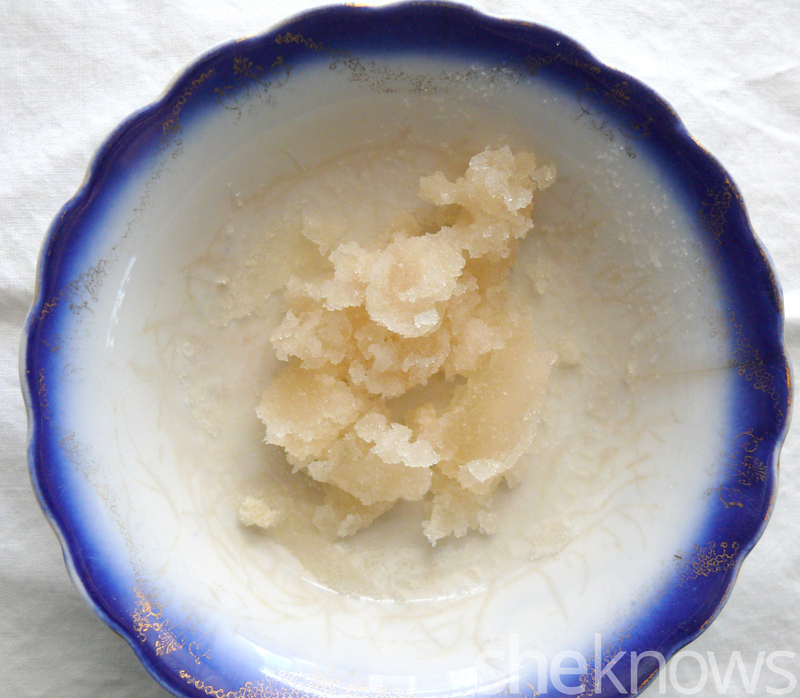 I started by blooming the gelatin in some water. 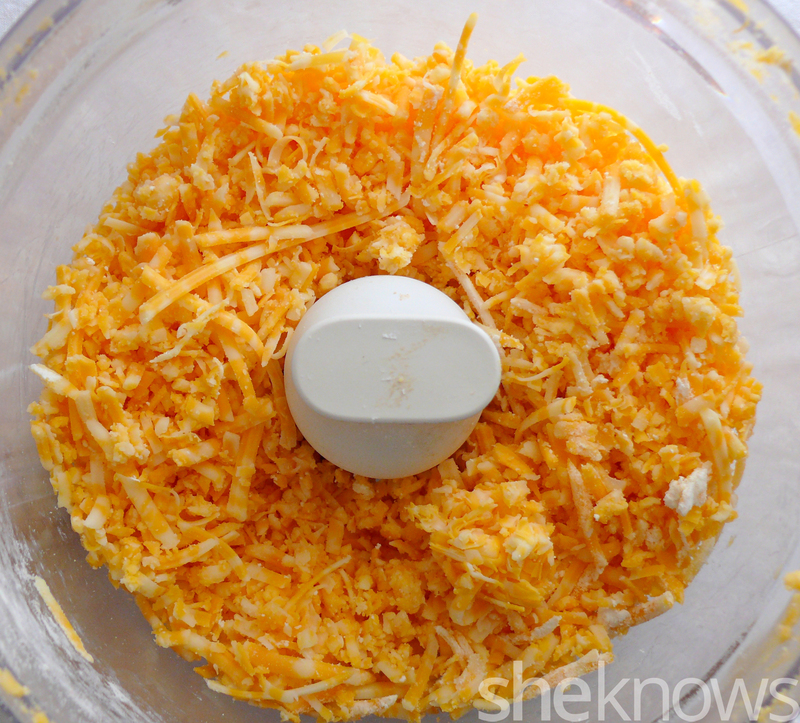 Then I shredded the cheese and added the dry ingredients to my food processor. Next up, I boiled the milk, then whisked in the gelatin until smooth. 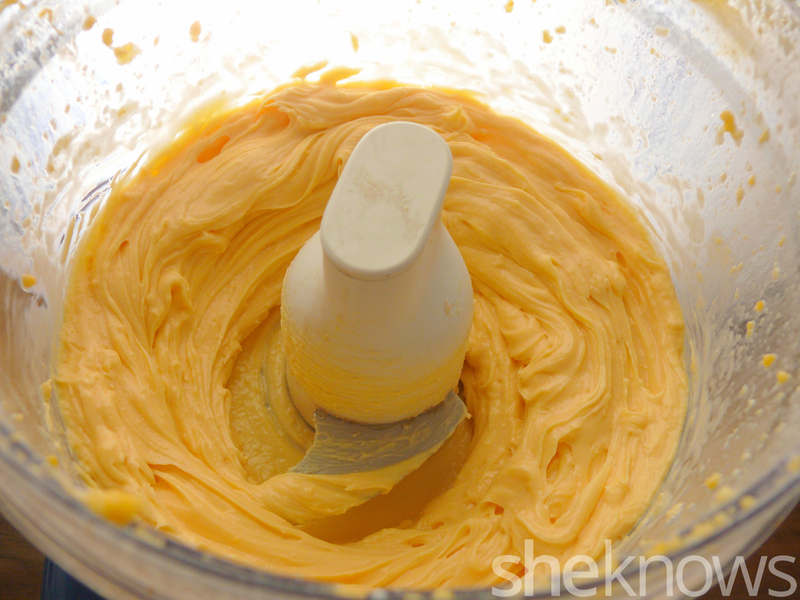 With the food processor running, I slowly added the hot milk and gelatin mixture until it was blended and creamy, about 2 minutes. 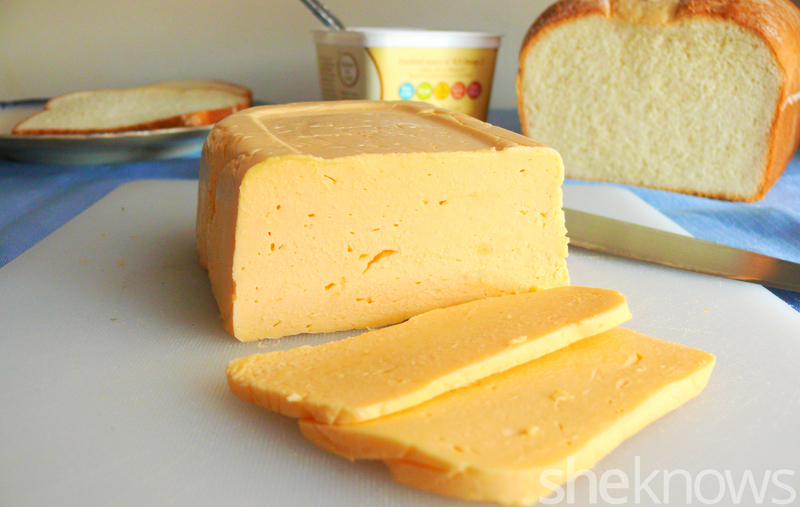 The result looked a lot like Cheez Whiz or cheese in a can and tasted like it too. To be honest, it made me wish I had some Ritz crackers on hand for spreading. But I wasn’t done yet. 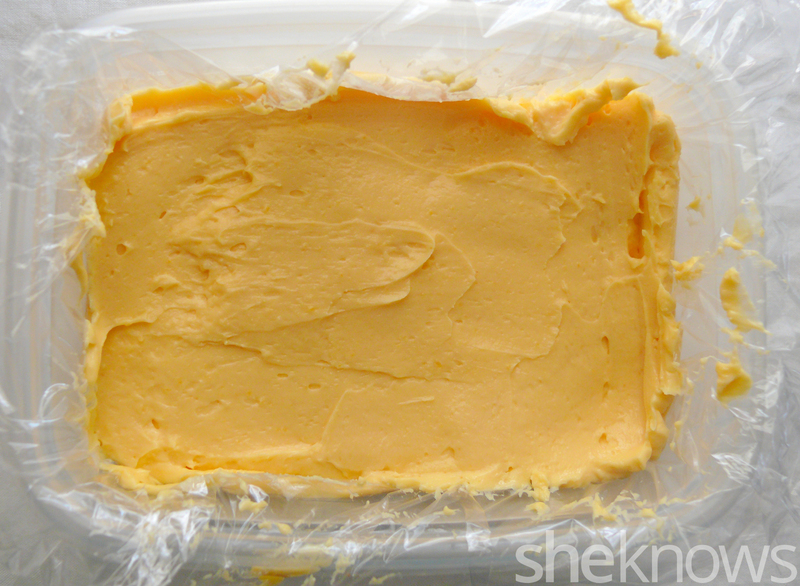 I packed the cheese mixture into a container lined with plastic wrap. Then I moved it to the fridge and let it chill overnight. When I took it out, I was surprised to see it had solidified into pretty much the exact texture of the individually wrapped American cheese slices. Because of the air bubbles in the mixture, it wasn’t as smooth, but it was the same slice-able but soft texture. I set out to make a grilled cheese, which in my opinion is the true test of a great American cheese. The result? Pretty much perfect! 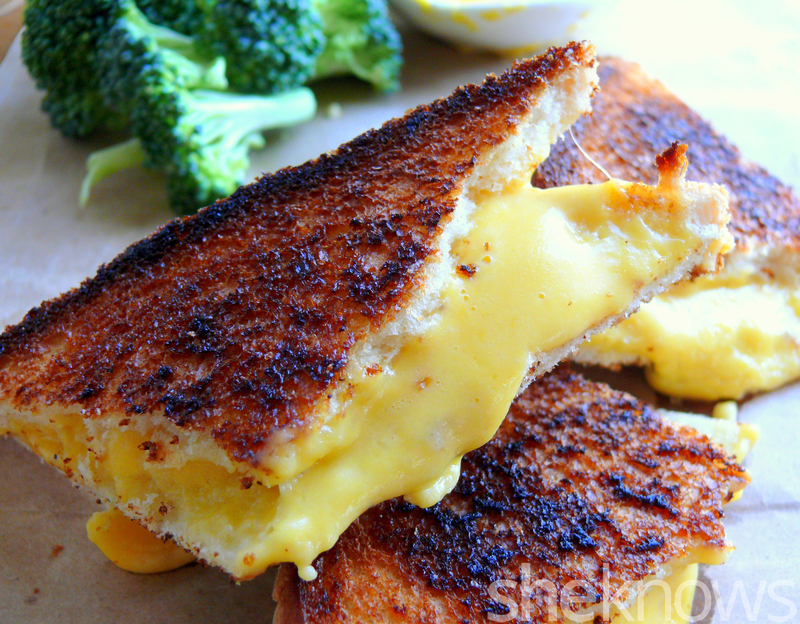 The melted cheese was super ooey-gooey. It was a little grainier than store-bought, and it cooled down and coagulated more quickly, but overall I was really happy with it. Still curious? Try it for yourself, and let us know what you think. Starbucks Birthday Cake Frappuccino: We tried it — is it worth it? I made the Duggar family’s cheesecake — and you should too!